We all know intel upcoming new Z170 motherboard’s are lunch in few months and many manufactures are showing their motherboards at Computex. 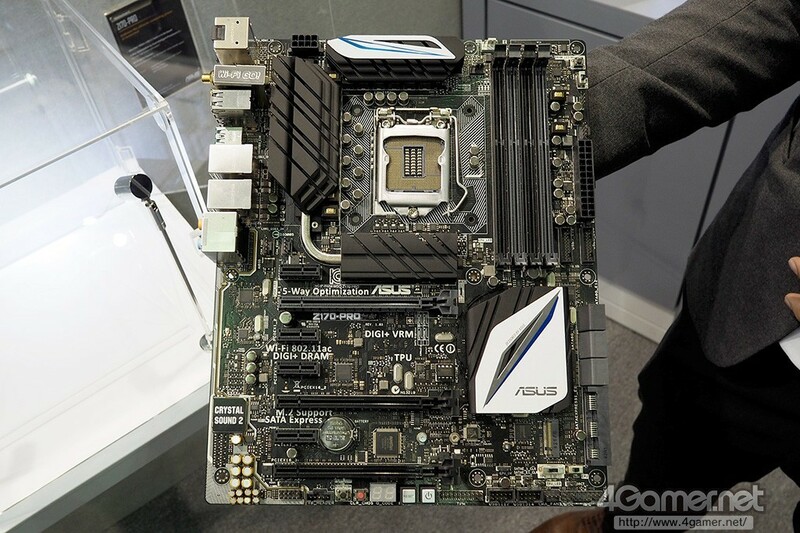 So here we have new pictures of asus Deluxe series motherboard. This may not be a final production sample, but what we see here is encouraging, nice big motherboard heatsinks, white detailing (at last they move way from gold cooler) and all of the motherboard connections that anyone can ask for. This board supports USB 3.1, having two of the new connector and what looks like a USB Type-C connection at the rear and has four USB 3.0 connections, with two USB 3.0 internal headers. Under the lower (some would call southbridge) heatsink we see that there is a single M.2 connector, which would be ideal for newer ultra fast NVMe SSDs. there is also a SATA Express port at the back and a total of 6 SATA 3.0 ports. 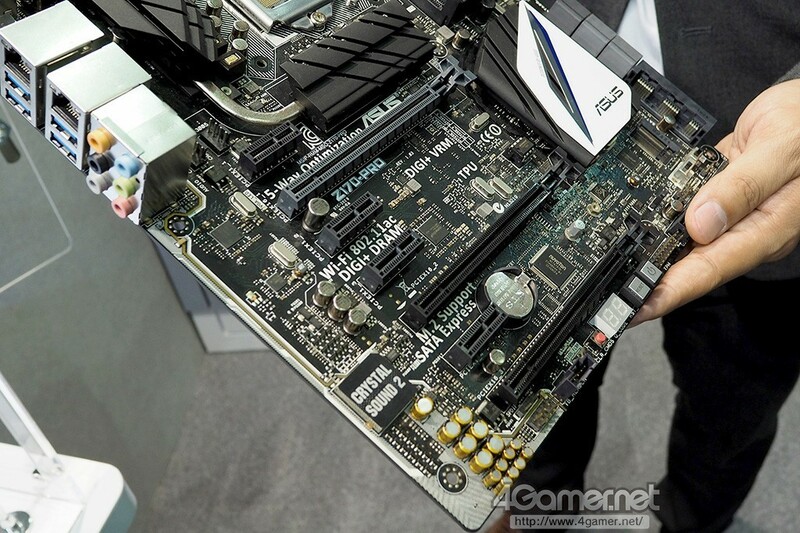 We can see that ASUS is still using dedicated sound components in this board, as is standard in many modern high end motherboards. 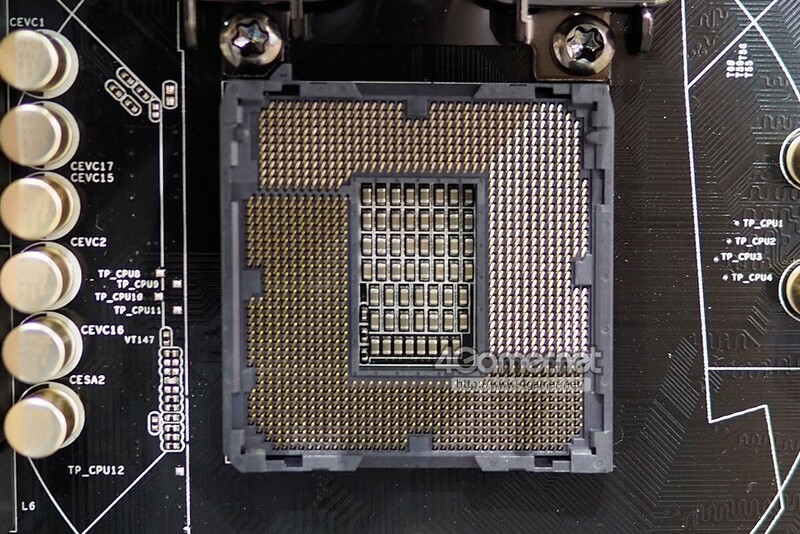 Below we also get to see Intel’s new LGA 1051 socket, which will support Intel’s Skylake CPUs. Right now it is unknown if ASUS as an OC Socket planned for this CPU, or if it is possable with this CPU.